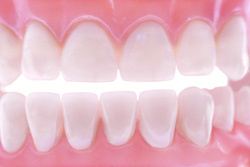 The health of your teeth and mouth need to be protected at all times. At Beaufort Street Dental Centre, our gentle dental team offer an array of restorative dental treatments. We’ll discuss all possible options with you, making sure you select the treatment that’s right for you. Get immediate attention by booking a same-day appointment. We welcome the opportunity to help you improve your oral health!